Whether you need ongoing daily rides from home or a one-time transportation, we have you covered! 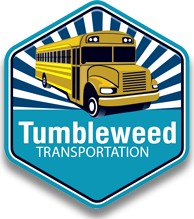 Register below for our transportation service through Tumbleweed. Major St. & Mesmer Ave.
W Pico Blvd. & S Centinela Ave.
Santa Monica Blvd. & 4th St.
Tierra Rejada Rd. & Madera Rd. Spring Rd. & Tierra Rejada Rd. Wildrose St. & Townsgate Rd. Crenshaw Blvd. & W Olympic Blvd. Hauser Blvd. & W Olympic Blvd. La Jolla Ave. & W Olympic Blvd. S Doheny Dr. & W Olympic Blvd. S Beverly Glen Blvd. & W Olympic Blvd. Prosser Ave. & W Olympic Blvd. N. Sepulveda Blvd. & Moraga Dr.
Ventura Blvd. & Laurel Cyn. Ventura Blvd. & Coldwater Cyn. Ventura Blvd. & Woodman Ave.
Ventura Blvd. & Van Nuys Blvd. Ventura Blvd. & Sepulveda Blvd. PCH & Topanga Canyon Blvd.